Volvo shares something in common with Audi, the fact that their stationwagon models usually garner more excitement than the sedan models, or at least that was the norm sometime in the past. Things might have changed somewhat now. 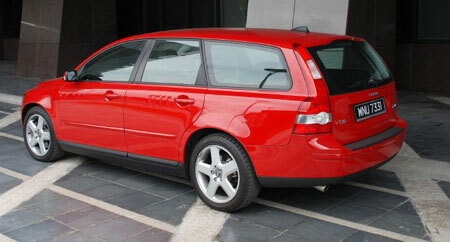 The Volvo V50, like other stationwagons in it’s class (3 Touring?) is a somewhat peculiar offering. A stationwagon usually means utility and lots of space, however C-segment vehicles are usually too compact to have the word spacious associated with them. 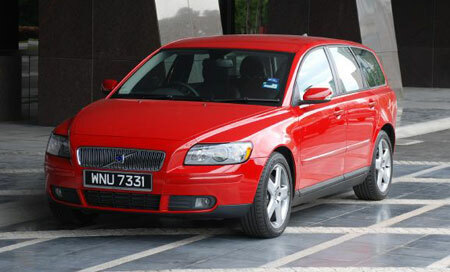 Read my report on the Volvo V50 T5, courtesy of Volvo Malaysia, after the jump. The Volvo V50 is a pretty good looking car. 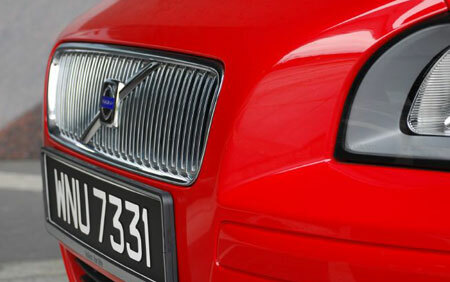 The pronounced nose, domed hood, the strong, broad shoulder line, Volvo’s classic L-shaped light clusters at the rear, huge 5-spoke rims showcasing huge brakes. This model was done up in a flat red that just screams look at me, look at me! It’s a looker really, or it might be just the fact that I love stationwagons. Then you get into the interior. It’s small! The ceiling was low, which might cause you to feel claustrophobic sitting in the car. Rear legroom was not fantastic as well. 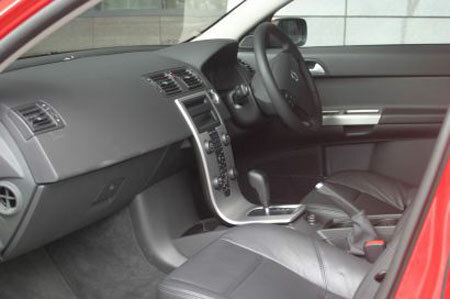 However the seats were comfortable and in classic Volvo thoughtfulness are made of allergy-free material, and there’s also that thin sleek curved instrument panel with brushed aluminium trim in the center, housing controls of the climate control and audio system. Every surface in the interior exudes a high quality feel. The center instrument panel being thin and also narrow allows for a wider footwell thus making it more comfortable for the front passengers, and hides a storage compartment behind it. Information panels are in black and green, and has a neat feature: in sunlight, the panels have a green background with black text, but when the car senses it is dark, or you turn the lights on, the meter panels switch to a black background with green text to go easy on your eyes. The meter panels themselves are backlit with green, giving this powerful car a somewhat boring and mature feel to it. 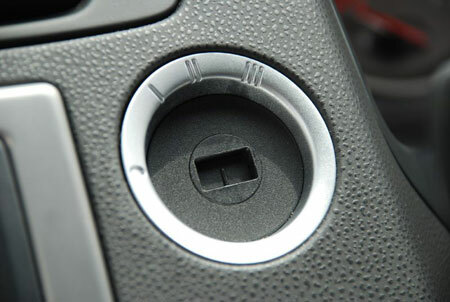 You slot the key into a keyhole between the steering wheel and the center console. There are steering wheel controls for the audio and cruise control, a 6-disc CD changer, and dual climate control. 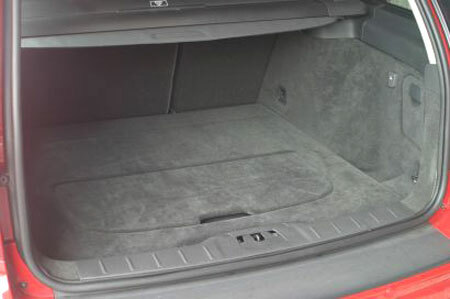 The stationwagon boot has all the usual amneties you’d expect, normally with a 416 litre capacity, extendable into the passenger compartment via a 40:60 split rear bench for a 716 litre capacity, and a tonneau cover. 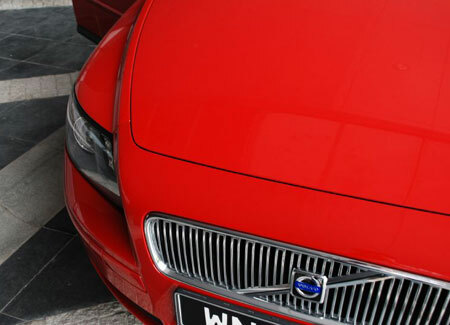 Although available in AWD in overseas markets, Volvo Malaysia has fitted the V50 T5 with a classic front wheel drive drivetrain, though not all is lost with the inclusion of Dynamic Stability Traction Control. While the car could perform around the bends if you wanted it to, the steering was not direct enough and did not inspire confidence because of a lack of feel. All you could do driving spiritedly was steer the car and hope it goes where you want it to go. However, drive at sane speeds and you’ll experience a nice and composed drive, with the car giving you a stable and safe feeling. Even the accelerator pedal is not that easy to press, ensuring you don’t accidentally set the car going off the edge of a cliff when parked. The engine is a turbocharged 5-cylinder unit and sounds lovely, with a slight rumble much like a V6’s. Compression ratio is 9.0:1, and there is no direct injection, so it’s obvious to assume that the boost pressure for this turbocharged engine is pretty light. Thus the result is no turbo lag with snappy throttle response, yet a small low boost fast spooling turbo results in lots of torque at the bottom end of the rev range. However, the engine seemed to run out of breath very quickly a the upper revs, though it reaches the upper revs fairly quickly. Peak torque is 320Nm between 1,500rpm to 4,800rpm, while maximum power output is 218 horsepower at 5,000rpm. 0-100km/h takes 7.3 seconds. The engine is mated to a Geartronic 5-speed automatic transmission with manual shifting, however I doubt you are going to ever drive this car in manual mode. There’s just not much point to it, just floor the accelerator and let it go. 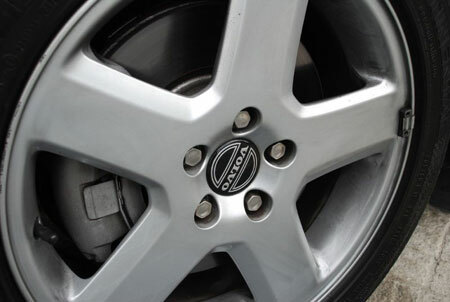 Brakes are huge, so stopping power is really good, and the huge wheels coupled with performance tyres ensure there is not much situations where ABS has to kick-in in the dry. A note about the paint job. 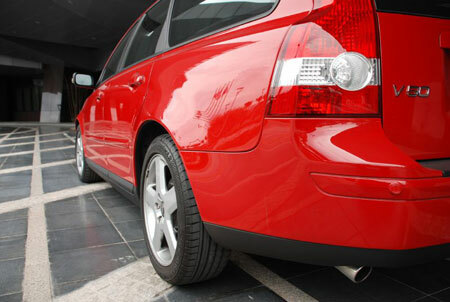 Some of you may have heard of Volvo using some special environmentally friendly paint of some sort. I’m not sure if this is the cause of it, but the paint on different body panels are slightly different in colour. While this cannot be observed from a distance, look up close and you can notice, as you can see from the photo above. It’s most obvious between the bumper and the hood, so that might be because the paint turns out differently sprayed on different materials. 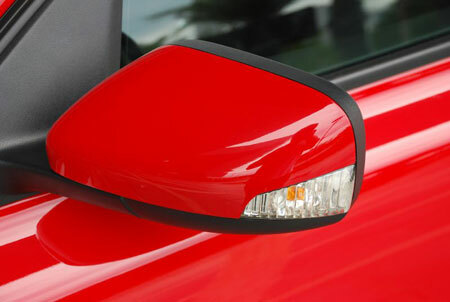 Despite that, gaps between panels were beautifully done, giving you the impression this car is very well put together. At RM222,061.24, some might find it hard to fork out that around for a C-segment vehicle from marque that’s seen as less prestigeous than the luxury German carmarkers. However, for abit more money you can only get a basic spec BMW 320i, while this is a loaded V50 T5 with a top of the range engine. It’s also alot more unique, I hardly see any on the road. However, I still don’t see the point of small stationwagons other than looking the part. With 6 airbags, DSC, and legendary Volvo safety, this is a good buy for someone young, earning a comfortable sum of money, and perhaps has young children and frequently engages in activities like mountain biking, or even picnics, that require the space of a stationwagon. The amount of power and torque this car has allows you to haul lots of stuff and people around while not compromising your driving experience. If your children are much older and bigger, you might want to consider forking out more to upgrade to a D-segment car, or downgrading to a large D-segment Japanese sedan. If you’re going to spend that much money, you might as well make sure your whole family is comfortable. 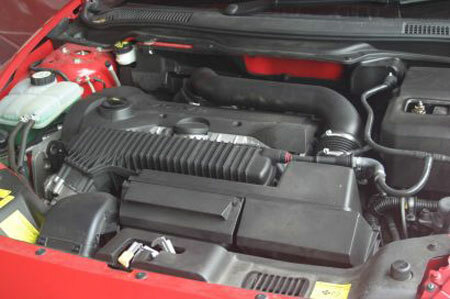 Some photos (interior, boot, engine bay, to be exact) courtesy of Hunting the Snark, as I had lost mine. Nearly all my photos were lost in a recent hard drive crash, save for the very few I uploaded to Flickr.